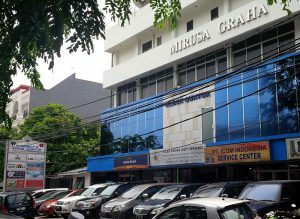 Due to a growing demand of specialized electronics / radio communication for military/police and to cater special needs of other public safety’s products, MIRUSA GRAHA GROUP (established since 1977) formed a sister company which would be able to concentrate and fulfill those special demands and to serve our value customers better. 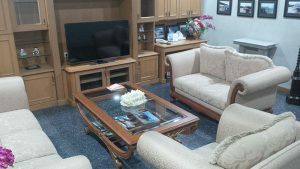 PT PUTRA MANDIRA was formed in November of 2003 entrusted to handle and responsible for specialized electronic equipments/ specialized radio communication and Public Safety equipments. 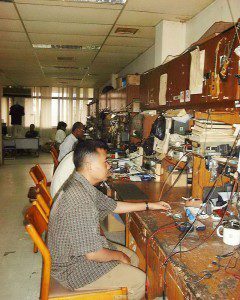 In Specialized Radio Communication, PT PUTRA MANDIRA provides System Design and Implementation Network for commercial and military/police purposes. Designing the best radio communication’s network or integrating the existing network with the capabilities of supplying those necessary equipments and maintaining those networks. Amateur/Commercial Radios Communication, Advance HT-Phone, Tactical Radios, and Electronic Surveillance are some of the products we carry and have been supplying to our customers. As for the Public Safety Division’s we concentrate in consulting and providing the equipments to support our customer needs. Our curriculum vitae includes building the first war simulation training /paintball in Jabotabek, and become the pioneer in building the first Adventure Land, Public Shooting Range and Aero Sport Center in Halim Perdanakusumah. Throughout our experiences we are given a distributorship for paintball gun, simulation weapon for military/police training. Night Vision Scope/Goggles, Thermal Cameras, CCTV Monitoring design, supplying, and maintaining the system, multipurpose floating jetty, and Aeronautical components and services are some of the products we are carrying. In Aeronautical division, we handle OEM and FAA’s approved PMA spare parts for both The military and Commercial airplanes/ helicopters. Our principal able to do major overhaul and re-engineering of major military fixed and rotary wings with quality assurance and on time delivery (ISO 9001 and 2000) with workshops and overhaul facilities in The USA, Argentina, and Germany. Finally in our R&D Department we are proudly announce that we have developed and the first bullet proof ceramic plate with 100% local content. Among other things, we are doing some other research in high strength ceramics for various applications. 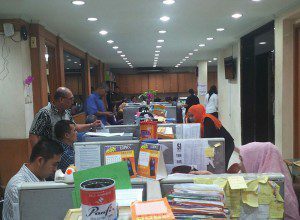 PT PUTRA MANDIRA continuously pace themselves to follow ever advancing technology either in radio communication/specialized electronics and keep improving in the area of Public Safety to better serve our clientele’s changing requirements/demands.